300 BRM Brass (100) - Brass for 300 Bench Rest Magnum. All of our brass is made from 30-30 bulk brass. It is formed and trimmed to length. You should expect to full length size it and some minor trimming might be in order. 7-30 and .375 and the BRMs are a little shorter than spec as we widen out the original 30-30 enough that it draws brass from the length. But, they are completely functional and accurate at the length provided. 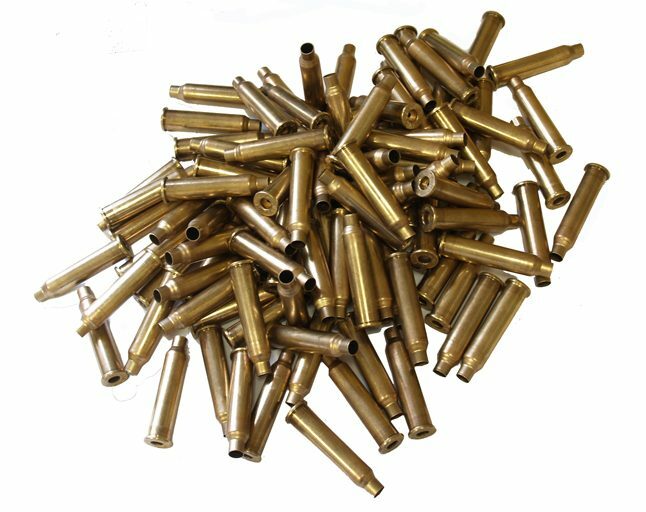 Access all of our Custom Brass and Dies at our Reloading Home Page. 100% satisfied. All were useable and saved quite a bit of work.